Impressed by the Aung Myae Oo school in Sagaing, Myanmar, Olivier Föllmi spent ten days there to take photos in order to show the school to the public. We have decided to support this school with the Association Olivier Föllmi. The Aung Myae Oo school was founded in 2003 by an enlightened monk, the Venerable Vilasa, who wished to give an opportunity for education to children in the northern regions severely affected by guerilla warfare and to children from poor families in the Sagaing region. Observing that girls had more problems receiving education in Myanmar’s monasteries than boys, he gave priority to the former. 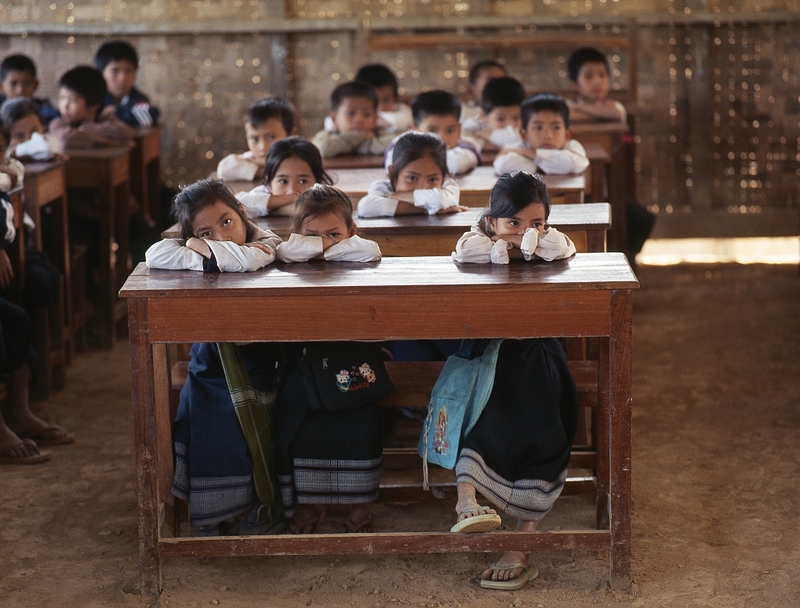 Ten years later, the Aung Myae Oo school provides education for 2350 children, 1700 of which are girls. 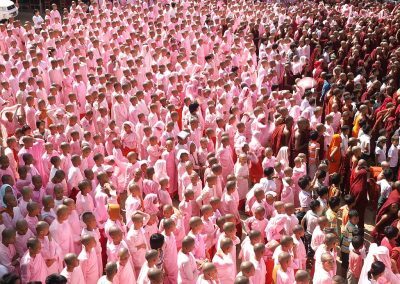 Each pupil is bound to follow the rules and monastic education of the school as a novice, but, on completion of their schooling, each is free to return to secular life or to confirm his/her vows. 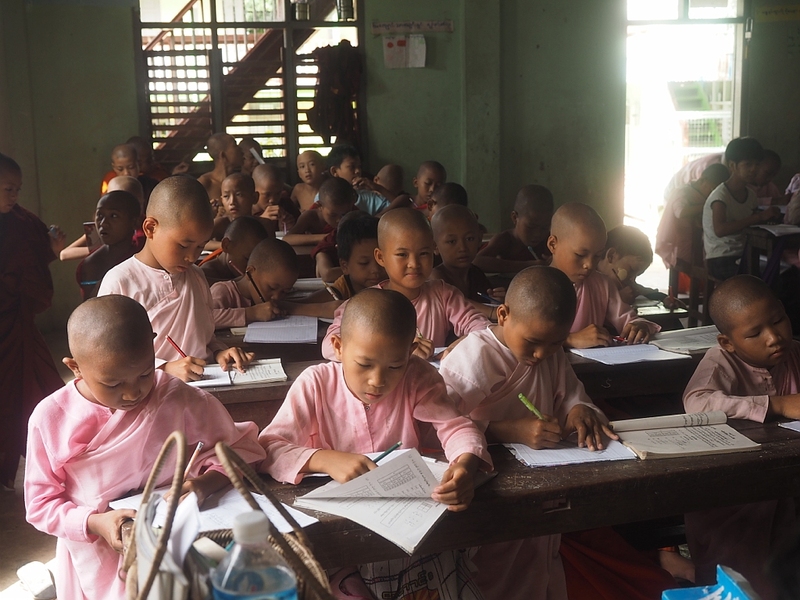 The Aung Myae Oo school educates its children by scrimping and saving. 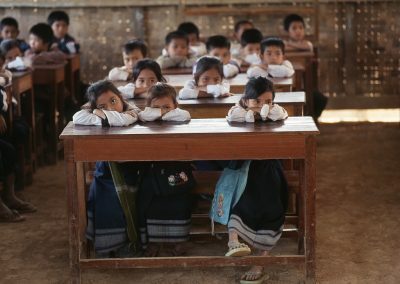 The funds derived to support it come for the most part from local Burmese people who donate books and pencils. The teachers are young students who have recently left school and who wish to give other children a chance too, while state school teachers volunteer to give evening classes to young people in the higher classes. 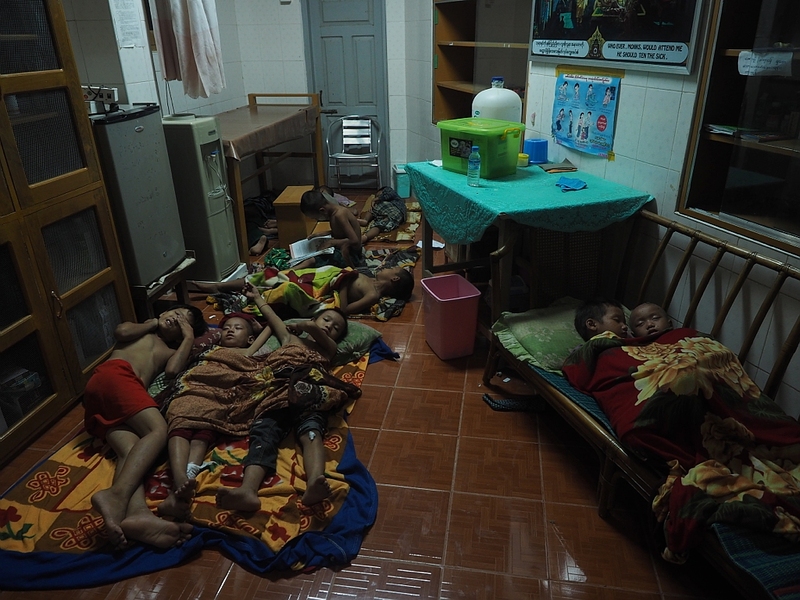 Every evening, the children return to their families or to the monastery or nunnery to which they belong, while the orphans sleep on wooden benches in the classrooms. Driven by inspirational selflessness, the Venerable Vilasa touched me by his total commitment to his children. 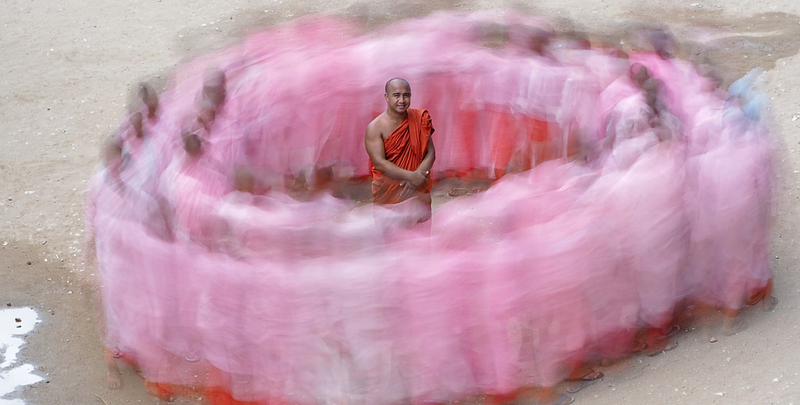 I had the impression of seeing a living Buddha in front of me, who desired the good of all human beings. The teachers moved me by their devotion and humility, while the students touched me by their desire to study and to grasp the opportunity offered them. I experienced there the same spirit of commitment as when I supported the Tibetan refugee schools more than twenty years ago with the Association HOPE. Equally, I felt it important to support the Director’s initiative to provide education particularly to girls, which is rarely the case in poor countries. The Association Olivier Föllmi wishes to participate in the upkeep and development of this school, which contributes to harmony in the world, the education of women and the development of Myanmar. 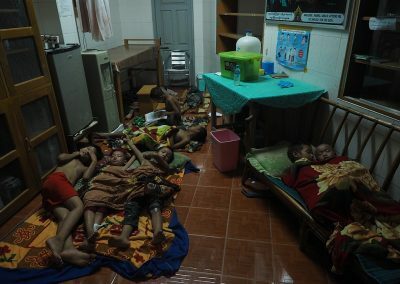 All donations, however small, are welcome, to maintain a water pump, buy school materials, clothes for the children, or more nourishing and varied food. 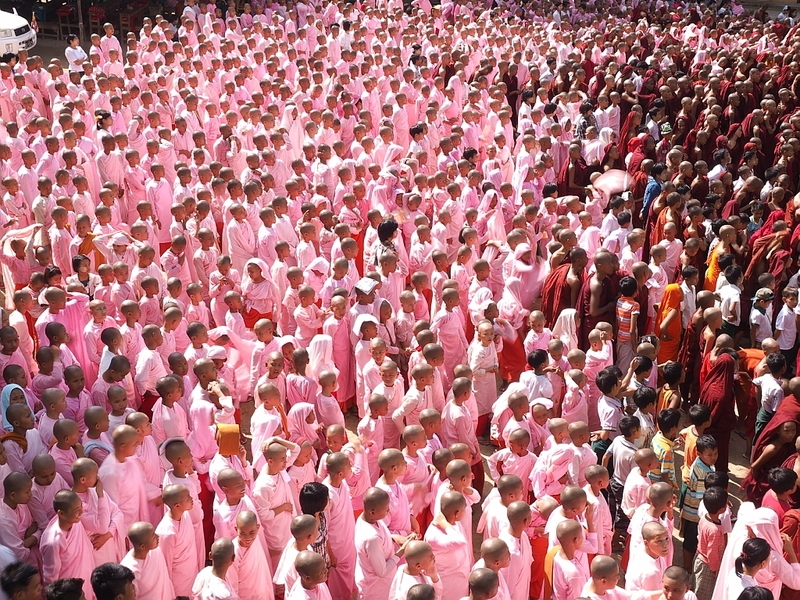 In the case of substantial donations, the Association Olivier Föllmi will partner up with other proficient Associations committed to education, to support the long-term development of the school, in relation with its director, the Venerable Vilasa. All donors will receive a receipt from the Association Olivier Föllmi and will be kept informed of project progress either via the site or individually.